I bet Ben’s hit the other kind of three, though . . . Attention wannabe internet trolls: If you’re troll is hideously unfunny and an NBA star replies, be prepared for a roasting. 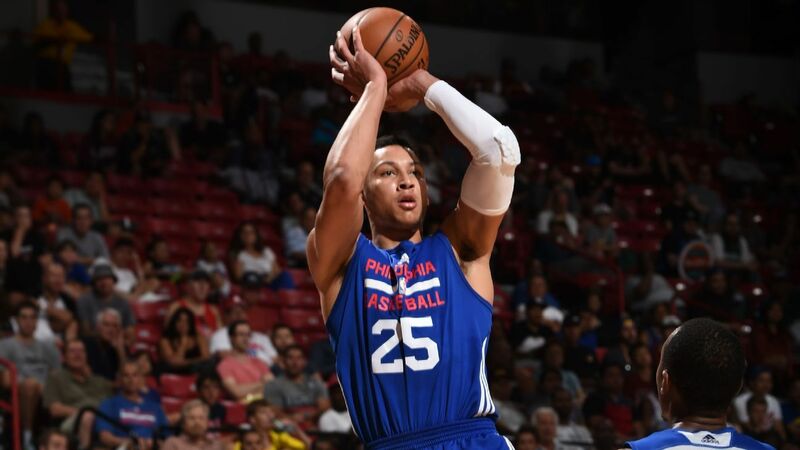 Well, for a fella named Kenny, Ben Simmons just reminded us how bad the internet can be if you’re on the receiving end of a roast. Kenny tried trolling Simmons for having a weak 3-point shot. Yeah we get it, Ben struggles from the three point line, but dude —he’s the Rookie of the Year, he’s no chump. So did you really have to post this? Benny boy wasn’t going to let Mr. Doyle get away with it. Simmons just dropped you over in a Choke Slam, boi! Ben Simmons may have a low 3 point rating in NBA 2k, but that clap back bar is set way up at 99. Besides, we’re pretty sure Ben hits a lot of threes, if you know what I mean. In other Hoops news, we’ve got a full video recap of the 2018 Hall of Fame Inductee Ceremony.